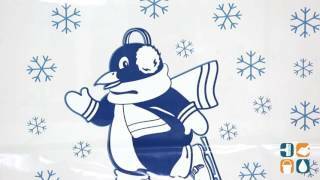 “Cool Penguin” design on polyethylene ice bag. 1.50 mil gauge. 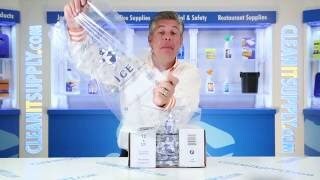 Includes twist ties for easy closure. Heavy-duty strength for maximum loading. EVA content added to withstand freezing temperatures. Fill line printed on top of bags and the net weight is printed on the bottom.